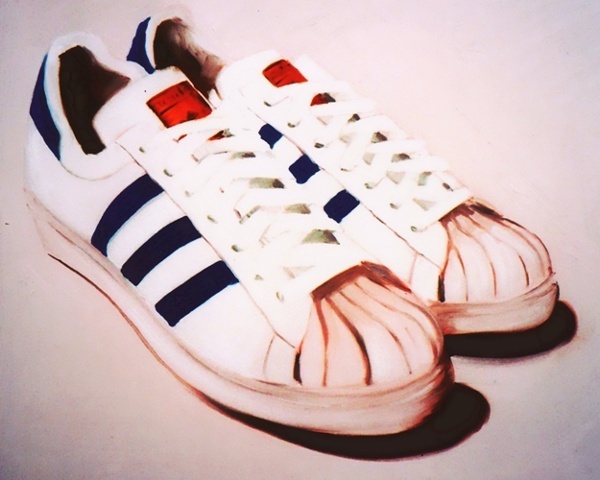 Classic Adidas Superstar trainers for sneaker collector. As worn by Run-DMC (they paid homage to them in My adidas, and they ended up having their own personalized shoes. Be a part of the history of these stars of the trainer world, by having a painting of your Superstars painted.